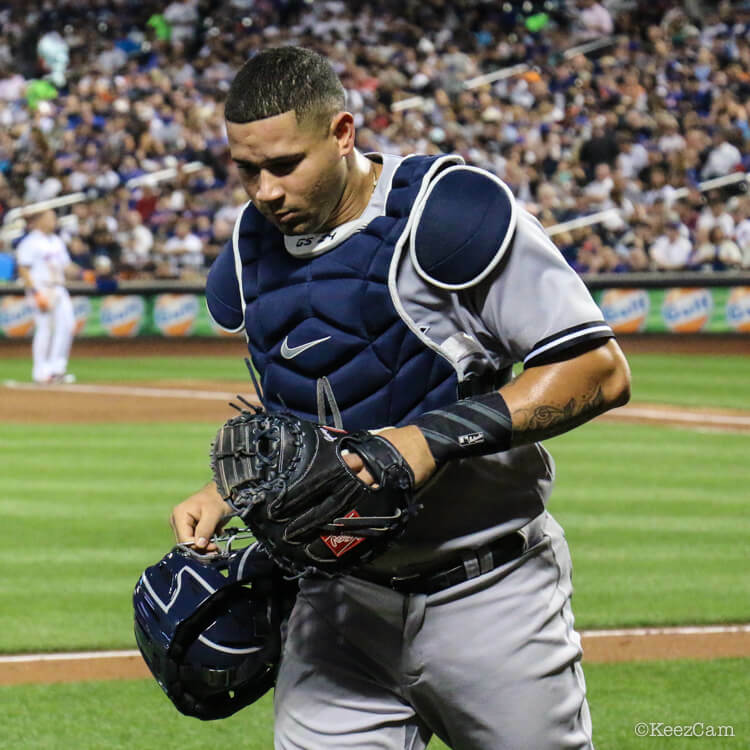 Like many young catchers, Gary Sanchez started out his pro career with All-Star Sporting Goods for all his catching needs. 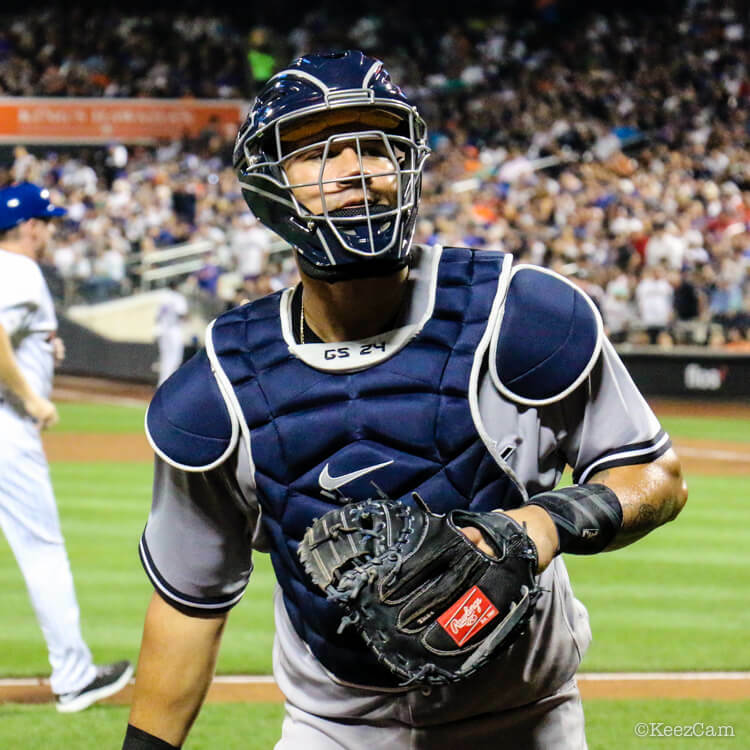 Once Sanchez established himself as a star in the Big Leagues (which took all of two months), the big brands swooped in. 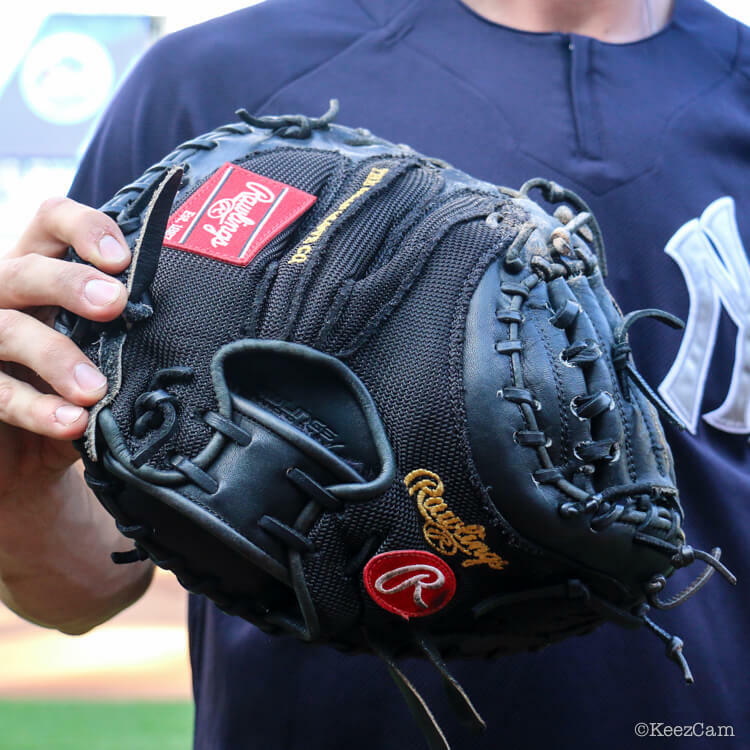 Since the beginning of the 2017 season, Sanchez is wearing a Rawlings Pro Mesh Heart of the Hide mitt, along with Nike gear. 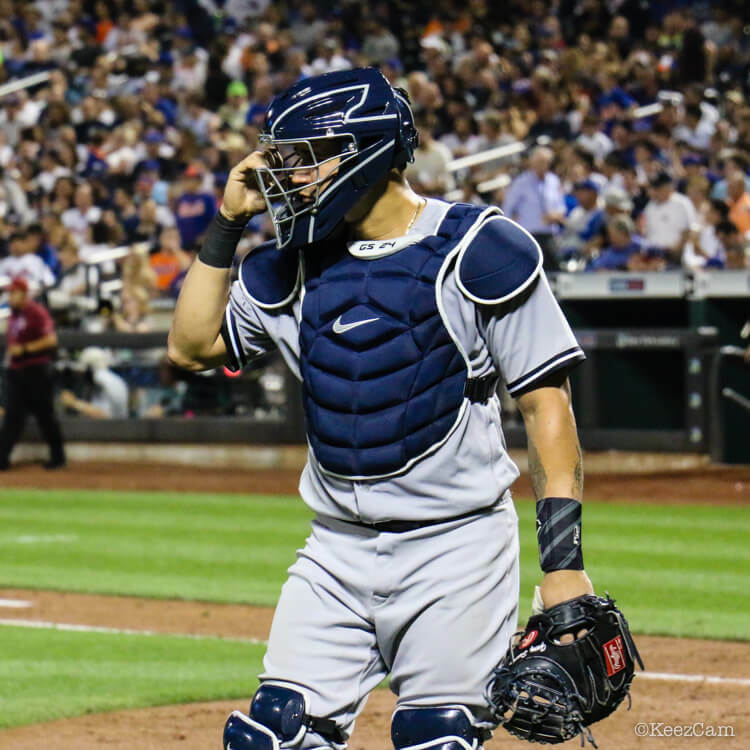 Sanchez’ catchers mitt is mostly black with some navy in the back and laces. 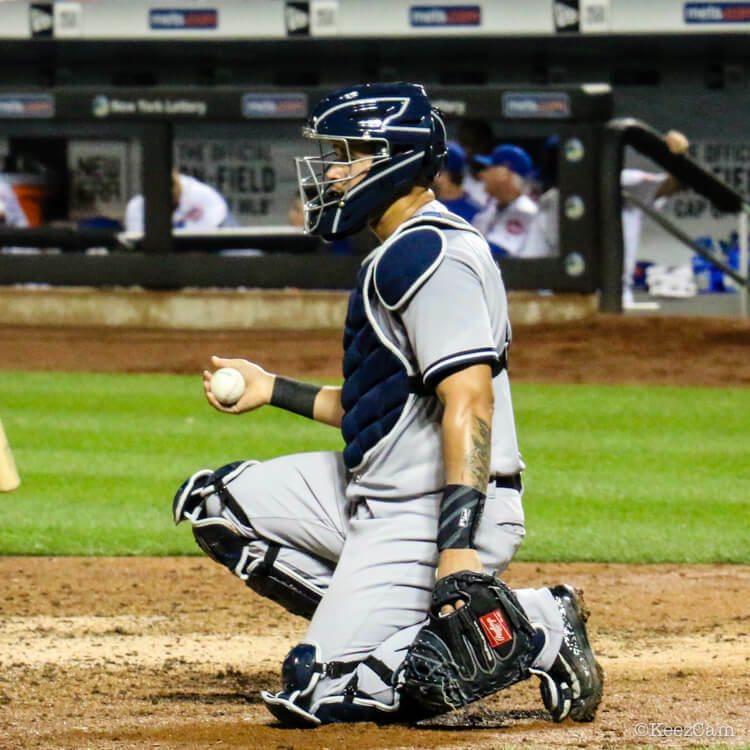 The mesh allows him to reduce weight without losing the stiffness necessary to catch the Yankees average bullpen fastball of 95 mph.